For those who stay up at 2 am - you may be having a chat with some of the world's greatest geniuses. This article explores the sleepless habits of "The Greats," throughout history...and why nothing is still greater than a good night's sleep. Salvador was not asleep when he was painting "Sleep." The ongoing lack of sleep and the shortage of time for accomplishing tasks are globally reprised complaints. 72.2% of high school students, over 50% of college and university students, and 36% of adults in Toronto have reported sleep deficiency in 2018. However, numerous studies suggest that an excess of sleep may be equally harmful with side-effects of depression, diabetes, and cardiovascular diseases. Sleep deficiency is defined by less than 6 hours of sleep; an excess of sleep – by 9 hours and more. Certain studies imply that each person’s need for sleep must be determined individually, while preschoolers are recommended to average 10 to 13 hours per night. The so-called Da Vinci’s polyphasic sleep schedule (a.k.a. Uberman sleep cycle) consists of taking 15-minute naps every four hours with the objective to gain 22 waking hours in the day. Actual practitioners of the method are few in number. Naps in the Toronto workplace are not common indulgence. However, midday siestas – traditionally practiced in the South of Europe,the Philippines, Ecuador, Mexico and Nigeria – reduce the risk of coronary mortality up to 37%. So how much sleep is truly needed? It seems each individual needs to discover their own balance. The master of French wit, Voltaire, reportedly fueled by dozens of cups of coffee per day would sleep for 3 to 4 hours per night. In early 1800s, an axiom circulated around Europe: “Napoleon sleeps 4 hours per night, octogenarians – 5; soldiers – 6; women – 7; men – 8; and only the ailing sleep for 9 hours.” Eyewitnesses recorded that the Corsican-born Emperor of France would complain about insomnia, and explained Napoleon’s defeat at Waterloo as poor strategy following a sleepless night. Mozart would compose until 1 or 2 am and be up by 6 in the morning to continue on his work. The true cause of Amadeus’s death is still a mystery. The two iconic British Prime Ministers, Winston Churchill and Margaret Thatcher both called sleep a waste of time, never committing more than 5 hours to sleep per night. Thatcher declared that some people work to live, while she lived to work – a mindset shared by many in the adrenaline rush to succeed. Nikola Tesla frequently slept for no more than 2 hours, “electrified”by the spirit of discovery. 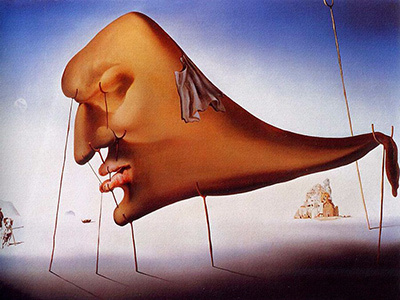 The restlessly creative Salvador Dali claimed that he only slept whenever he felt tired, i.e. never. In contrast, Albert Einstein needed 10 hours of sleep and frequent naps to think clearly about the mechanisms of time. In his “Les Confessions” Jean-Jacques Rousseau revealed himself to enjoy a long nap, both at night and during the day. He never got along with Voltaire – evidently over sleep, not only in their philosophical views. ­ Personal abilities to cope with lack of sleep aside, demands of modern life have become more strenuous such that rates of sleep deprivation are rising to alarming highs. People need to consider not only impact on their health, but also that of their families and those around them. Sleep is a social responsibility. When recharging smartphones becomes a greater priority than recharging oneself, the licence to drive becomes a licence to kill as perilous errors are made on the road – as many as 20% of the road accidents are caused by drowsy driving. In 2014 an AAA Traffic Safety Foundation study found that a staggering 37 % of drivers report having fallen asleep behind the wheel at some point. Studies by the Ohio State University show that couples who average less than 7 hours of sleep per night endanger their relationships, becoming more intolerant and aggressive. But the wake-up call is here, for those who are awake to hear it. Can You Ever Really Catch Up On Sleep?